TWG is a brand synonymous with luxury. Every one of their shops is tailored in a gorgeous golden colour that reflects opulence and grandeur. But did you know that like these other brands, TWG is a Singapore company? Because for years, it sure had many of us fooled. 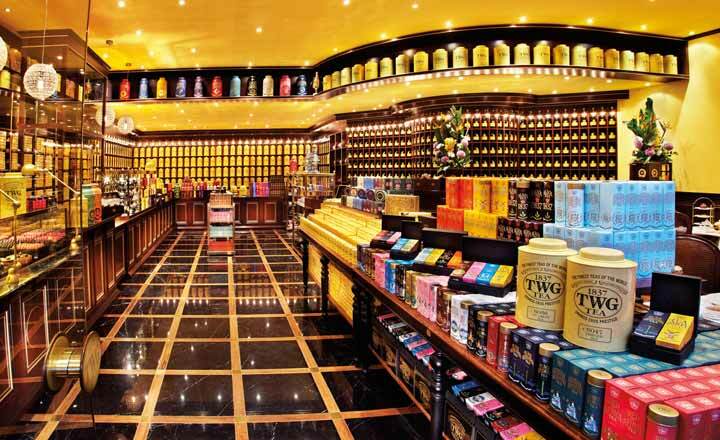 TWG stands for The Wellbeing Group, and its first Tea Salon & Boutique was launched in Republic Plaza, August 2008. Fast forward to today, and the prestigious brand is now in 23 countries with a worldwide shipping reach. As of 2015, the company was also raking in annual sales of $57 million. Bouqdib’s success is a fascinating journey, and one that can condensed into a few simple reasons. Despite first opening during the 2008 financial crisis, the company went all in with 3 factories and 1 large central kitchen. “From day one, we never built this for just one city. We planned for a global brand. We knew exactly what we were doing,” Bouqdib says. 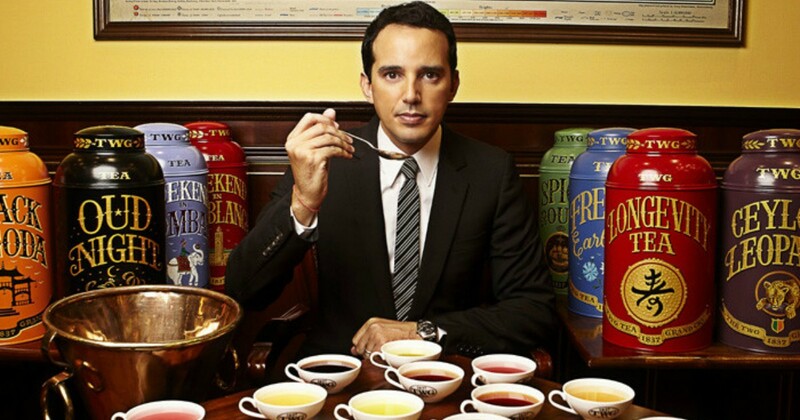 Their risky endeavour paid off, as TWG took off selling 650 tonnes of tea in Year 1 alone, a success Bouqdib attributes to how unlike designer goods are extravagant during a crisis, tea remains affordable. 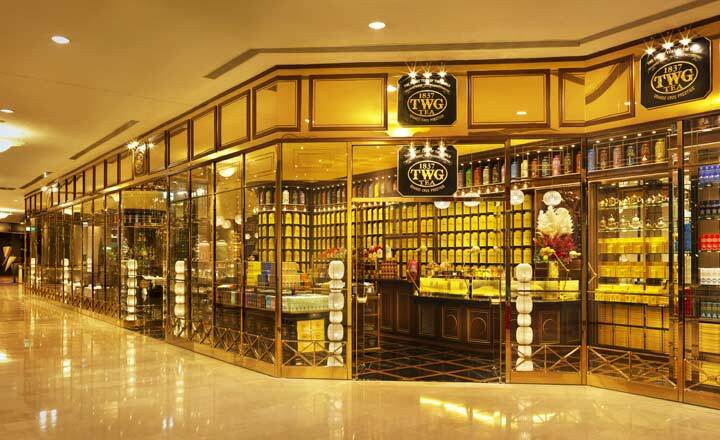 One of TWG’s selling points is their staggering array of flavours – over 1,000 flavours with 50 added every year. In order to achieve this, Bouqdib spends much of his time on the road, visiting cafes and patisseries to find inspiration in using new ingredients, from orange to chocolate, in new blends. “I need to absorb everything like a sponge and then I go back, squeeze everything out, and start again,” he reveals, emphasising how it is important to stay close to the ground. Creativity can be stifled when you’re only learning from a single source all the time, and Bouqdib understands that perfectly. When he travels, he doesn’t just go to cafes but he also spends time visiting the fashion capitals of the world. Although attending haute couture shows may seem completed unrelated to tea, it actually teaches Bouqdib about the latest trends in colour and design. And from absorbing and squeezing everything out, he then imbues this new knowledge into tea packagings – a strategy that appeals to younger tea drinkers. This is also something that shows in the main colour theme of TWG – yellow, a colour he chose for its link to the robes of Chinese Emperors. For Bouqdib, attention to detail, even the smallest ones is imperative, and it shows from his passion for Parisian museums to his penchant for Dior suits. Bouqdib grew up in a strict household, his father being the head of security operations for the Moroccan king. “We could never do anything bad, even if it was something small, like crossing the road when the traffic light’s red […] For him, black is black and white is white.” Even while he was in military school, his school received specific instructions to “show [Bouqdib] no mercy”. While you might find this oppressive, Bouqdib expresses gratitude instead as he can use what he learnt in his business. “A strong leader stands with his team, not on the sidelines giving out orders. This is how you build a strong team,” Bouqdib explains. Ask around, and you might find that a common characteristic among ‘bad’ bosses is their inclination to micro-management. However, Bouqdib strongly subscribes to a hands-off approach when it comes to managing his employees. What this translates to, is letting their own strengths shine, as well as expressing their own forms of creativity. Bouqdib’s way of thinking can also be linked back to his upbringing – while his father instilled in him discipline, his mother’s profession in the embassy taught him respect, empathy, and social communication. As such, Bouqdib never flares up at employees when they make mistakes, instead choosing to calmly think things through with a cup of tea in hand. 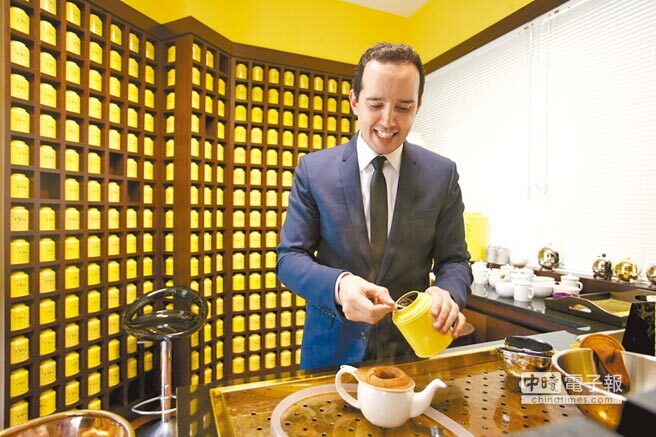 Just like how he believes his staff do their best when doing what they love, Bouqdib is unabashed in his passion for tea, as he gushed about how it is “in his blood”. And despite having been in tea for over 20 years, he reflects that it doesn’t feel like work, but a lifestyle instead. Perhaps that can be attributed as the final, but most important reason why TWG has won hearts globally – a passion for what you do, because that is what will drive y0u even after you’ve made it.